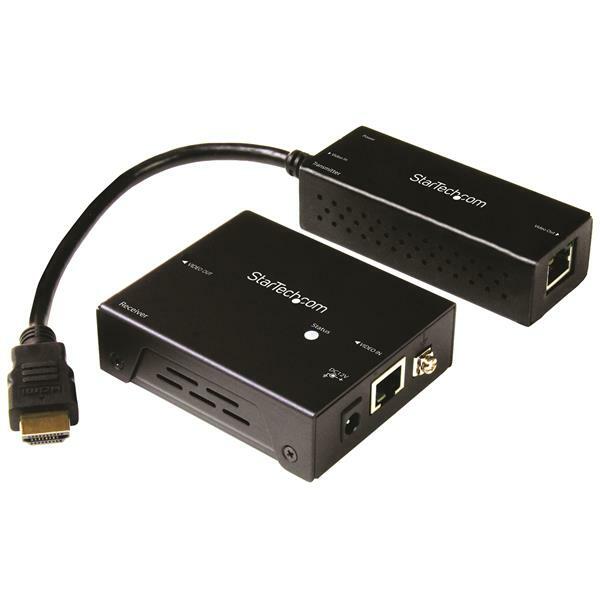 This 4K HDMI extender uses HDBaseT to transmit your HDMI A/V signal to a remote location up to 70 m (230 ft.) away. 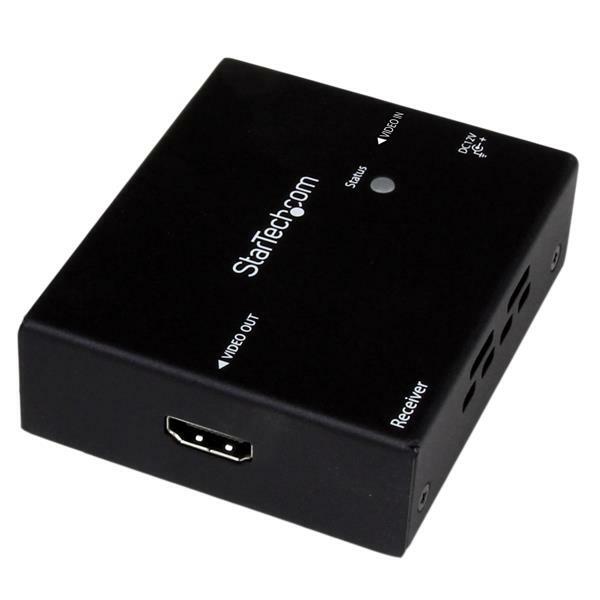 The transmitter in this HDMI HDBaseT extender kit features a small footprint and built-in HDMI cable that connects directly to your source for reduced clutter. It’s powered from a USB port on your source device, which makes it easier to install in areas where power outlets may be limited. Mounting hardware is included for the receiver for a discreet, professional installation. 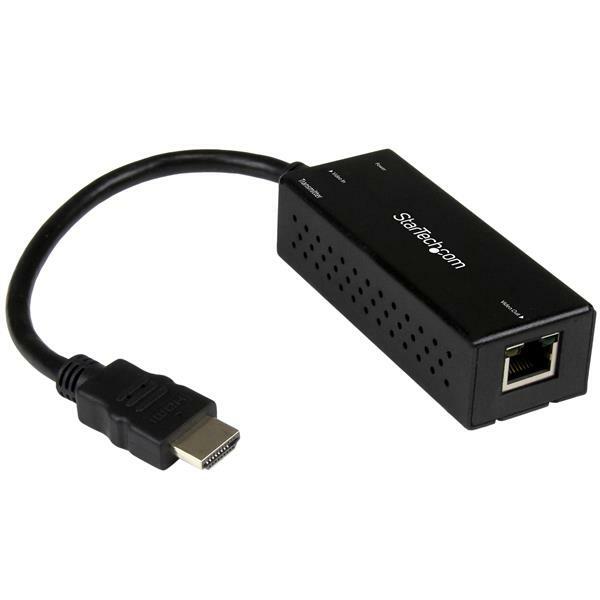 This HDMI over CAT6 extender maintains your UHD 4K picture quality, even at 130 feet away from your video source. Because the extender is backward compatible with 1080p and lower resolutions at 230 feet away, you can comfortably use this extender to make any video source look great. The extender also supports 7.1 audio to ensure all audio channels are captured. 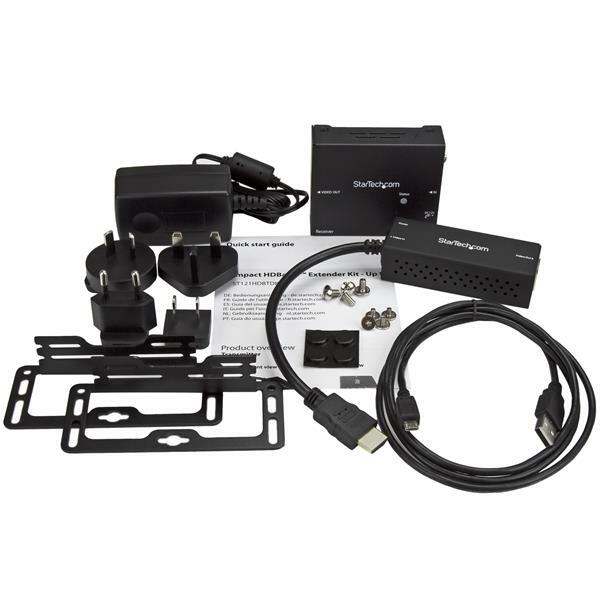 The kit extends HDMI over a single cable, unlike some HDMI extenders that require two cables, reducing potential failure points and lowering your cabling costs. Ideal for digital signage, the HDMI over CAT6 extender uses standard CAT5e, CAT6 or CAT7 cables to extend HDMI video over the Ethernet infrastructure that's already in your building. 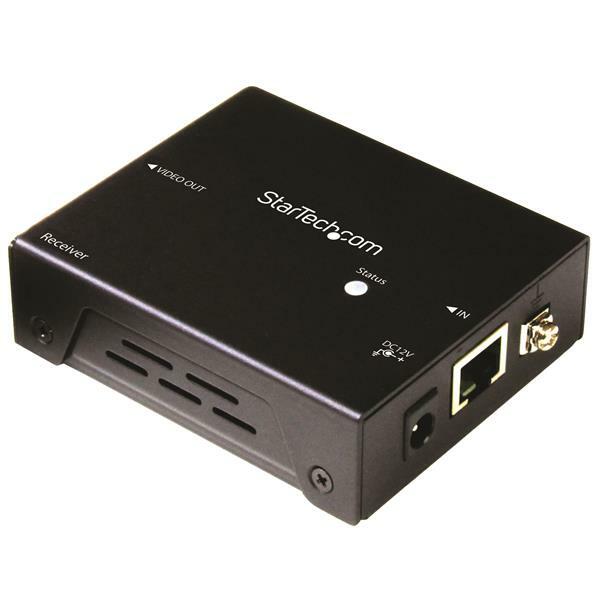 The ST121HDBTDK is backed by a StarTech.com 2-year warranty and free lifetime technical support.